Danielle Michele Fleming, the 10-year-old daughter of a French aristocratic mother and a father who is the second son of English gentry, finds herself caught in the economic ruin that surrounds the failure of the Bourbon Monarchy. She lands aboard ship, destined for the Queen's Bush of Upper Canada and a life with the catalyst of her doom, her uncle, Edgar Fleming. Relentless in his hunt for her, her uncle has her tracked not only by bounty hunters, but in the end through another shaman of evil intent and a blood-debt to settle with Shadow Song. 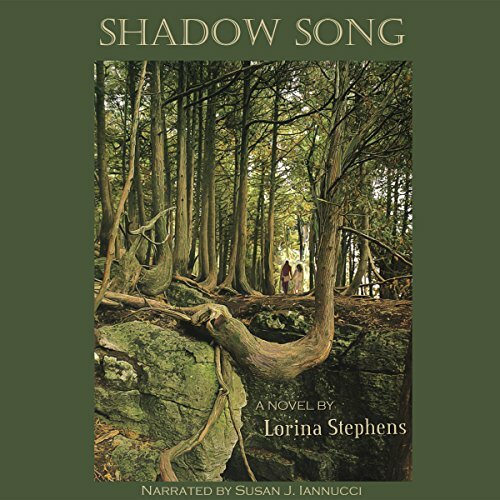 Shadow Song is quiet pleasant and easy to listen. I think that the level of mysticism/magic is over done at one point but I also see what she was trying to accomplish with that. . There are spots where the writing is a little rough.All in all the story and narration are good. I received this audio book for free in exchange for my honest review. This is a very well written story. The narrator has a very soothing voice and enunciates her words flawlessly.